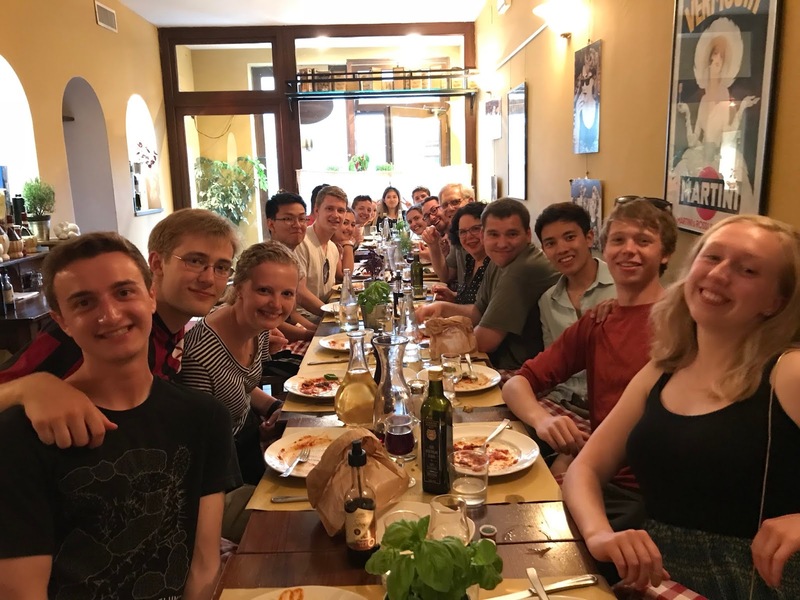 Following a delicious breakfast and checkout at Hotel La Pace in Pisa, the group made our way to Florence. 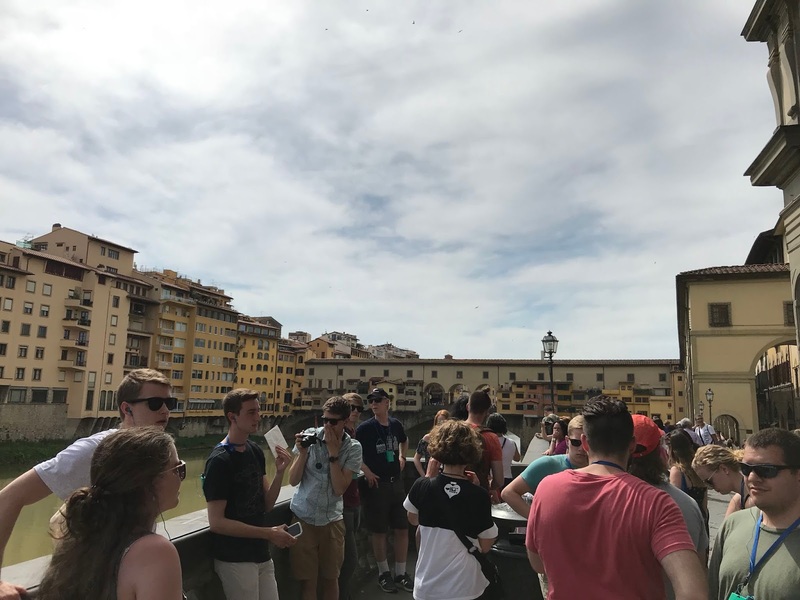 Via coach bus, Florence was a short 1.5 hour trip to make it to our hotel of Palazzo Ricasoli. Following the bus ride, we were given time to check out the town center for food and shopping. Around noon, we split off into smaller group for free lunch. 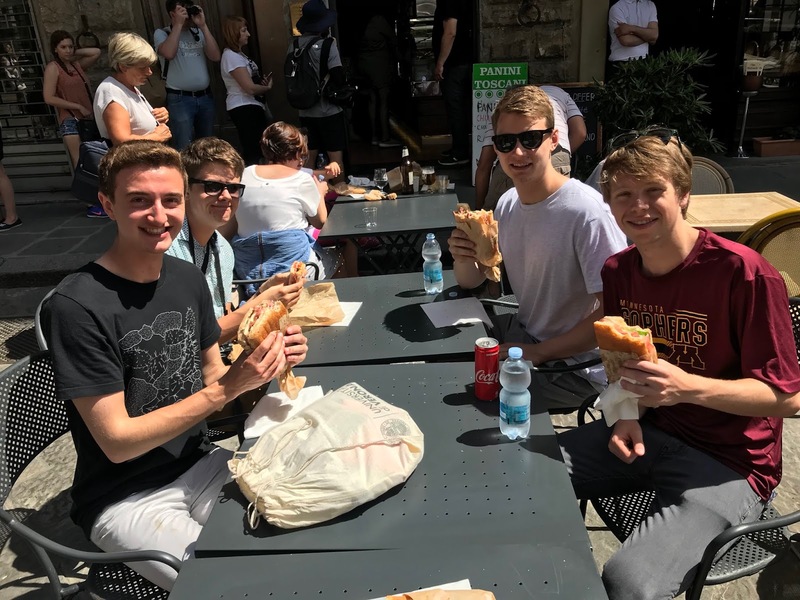 A group of us grabbed paninis at Panini Toscani for a quick and amazing lunch. After lunch, we made our way back to the hotel for our tour of the city. 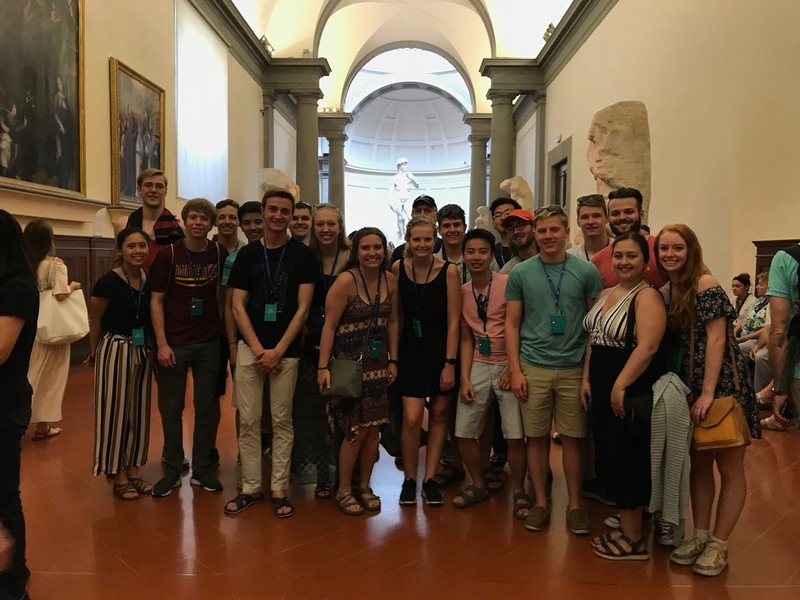 The first step in the tour was our reservation at Galleria dell’Academia. At the Academia, we were given headsets for the tour to listen to our tour guides perceptive of the city. The Academia is home to Michelanglo’s David, which was just as magnificent as imagined. After witnessing Michelanglo’s David, we made our way to the town center to see all of the amazing architecture. We saw Florence’s Duomo and experienced the history and story behind it. We made our way towards the Arno river in Florence shortly after. The area had beautiful archways as well as streets filled with shopping and food. 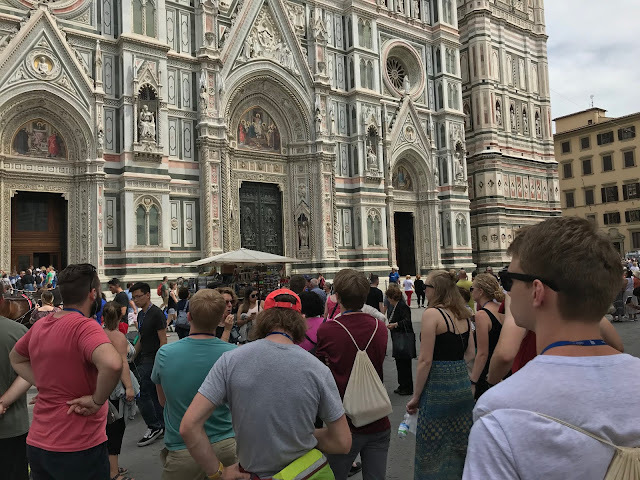 After the amazing tour of Florence, most of us took some time to recover through either napping, doing laundry, and even a couple of us went on a run. We ended the night with a lovely group dinner at Ristorante Accademia. Ristorante Accademia was in walking distance of the hotel and we were able to enjoy some pasta, chicken and yogurt for dessert.